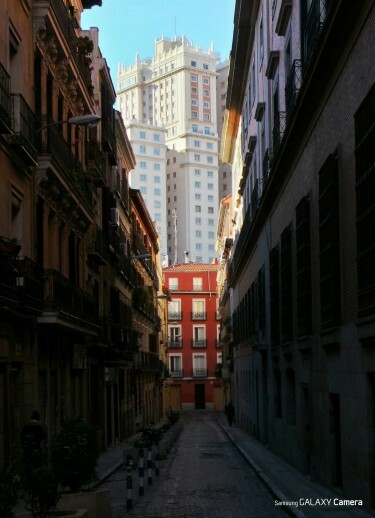 Is Madrid the Most Photogenic City in the World? It has been said that the essence of city life lies in the promise of the chance encounter — the feeling that absolutely anything could happen at any moment. In this way, cities are more than just containers for human activity; they are also distinct characters in of themselves, each conveying a unique identity told through culture, architecture and history. The digital revolution in photography has only served to empower a whole multitude of city-dwellers to capture and document the beautiful complexity that can be found in contemporary urban life. With this idea in mind, Samsung gave the new GALAXY Camera to 32 photographers to prove that their city is the most photogenic in the world. Meet Juan Pascual from Madrid. Juan’s passion for photography grew from capturing moments in life that Instagram has now allowed him to share with more than 10,000 followers. Juan’s task is to allow viewers to look closely at the city and see a new kind of beauty. In this segment we see Juan employing his craft to capture close-ups in perfect detail — magnifying his subjects to create bold, soft images. Vote for your city here.